If your brake fluid level is low, you must top it up or replace it immediately in order to maintain the safe handling of your car.  Eurocarparts.com sells a wide range of quality brake fluids for your safety and convenience. 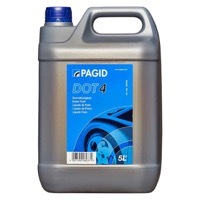 Brake fluid is usually made from a silicone or mineral-based formula. It is essential to your braking system and therefore your safety. 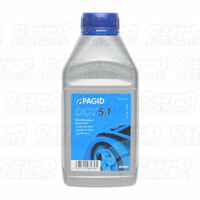 Brake fluid is like blood for your braking system. It transfers hydraulic pressure from the brake master cylinder to your brakes. This in turn allows you to control your stopping speed when driving. 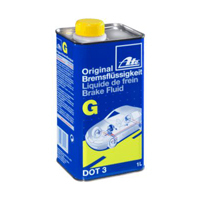 Brake fluid absorbs moisture from the environment and will eventually become corrosive to your braking system as a result. High levels of moisture may cause the brake fluid in your car to boil. 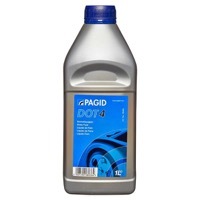 If your brakes start to feel spongy and ineffective, this may be the issue. 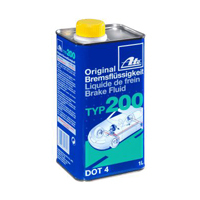 To test whether your brake fluid is boiling, you can buy brake fluid testers right here at Euro Car Parts. 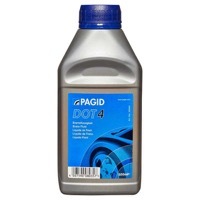 If your car is suffering from abnormally low levels of brake fluid, the issue could lay with worn brake pads. If this is the case, replace your brake pads and top up your fluid to prevent excessive strain on your callipers or wheel cylinders. 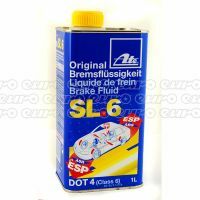 A loss of brake fluid could also be due to the presence of a leak. This in turn could reduce pressure and hamper your car’s braking ability.